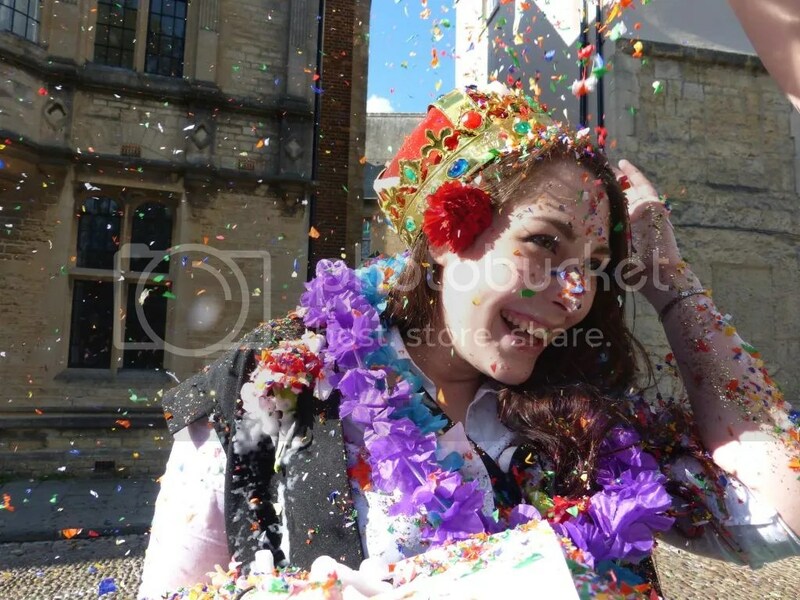 You may or may not know that there’s a tradition in Oxford called ‘trashing’, where all your friends meet you as you come out of your final exam and throw confetti and glitter and flower petals and silly string at you, and cover you in many ridiculous hats and decorations. 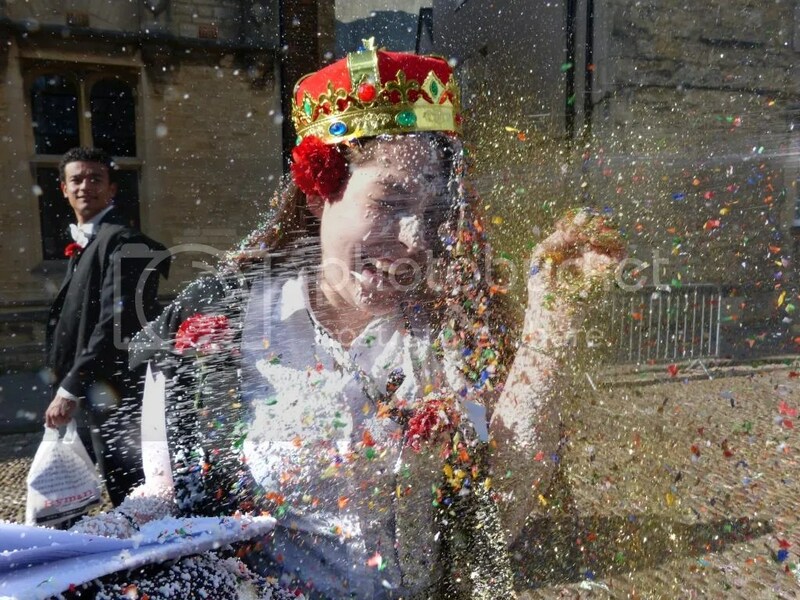 It’s great fun, and although there’s always something horrible in the Daily Mail about the excesses of Oxford students, it’s the perfect way to blow off steam after what could be up to three weeks of very long, difficult exams. It’s an amazing feeling. 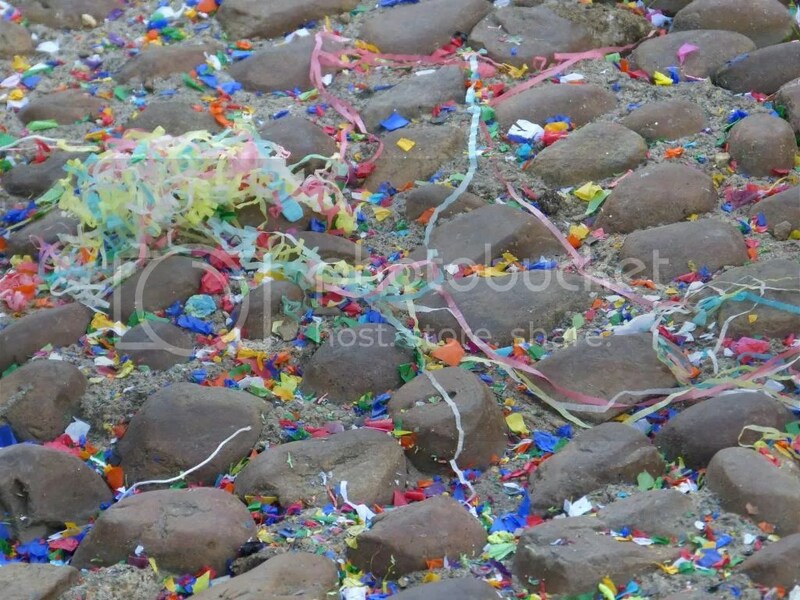 After they’ve covered you in stuff, the tradition is that you head down to the river, where the lucky finisher ends up thrown in. 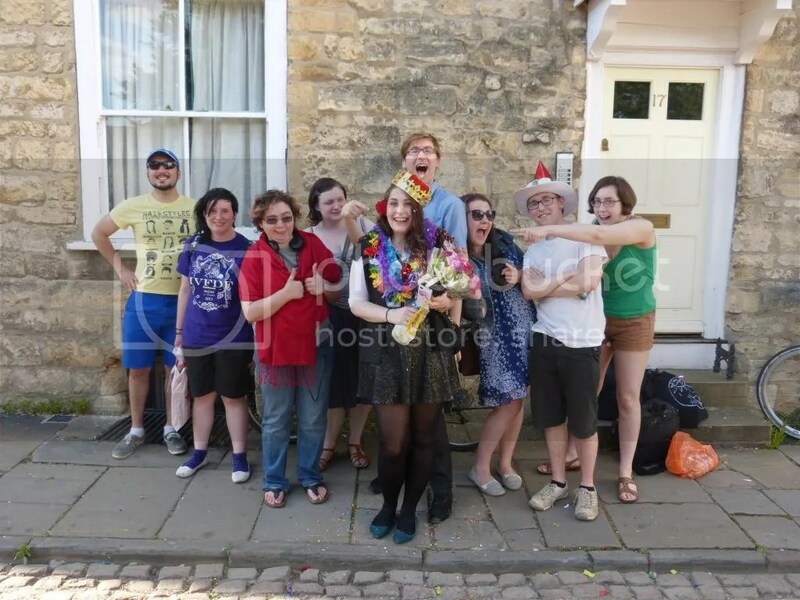 Luckily, my friends were slightly nicer and allowed me to get in myself! 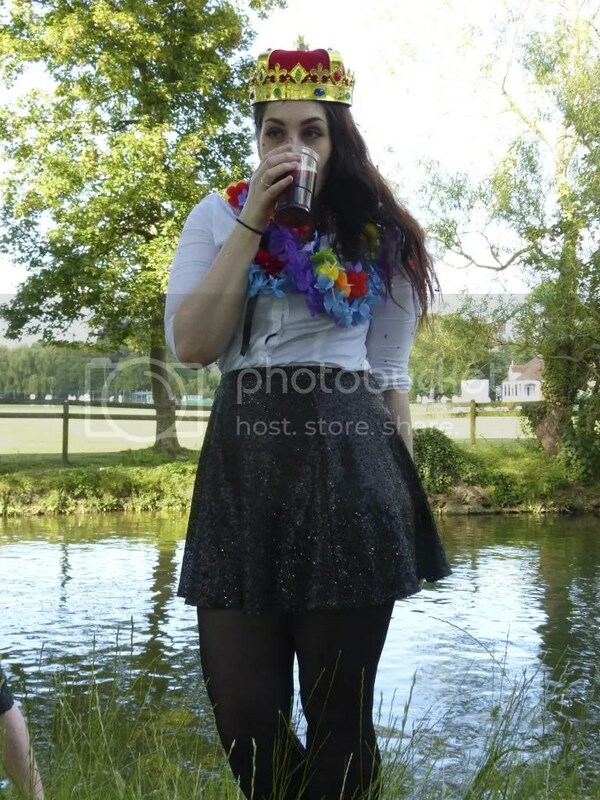 Here I am enjoying my first drink since my birthday – Pimms, of course! 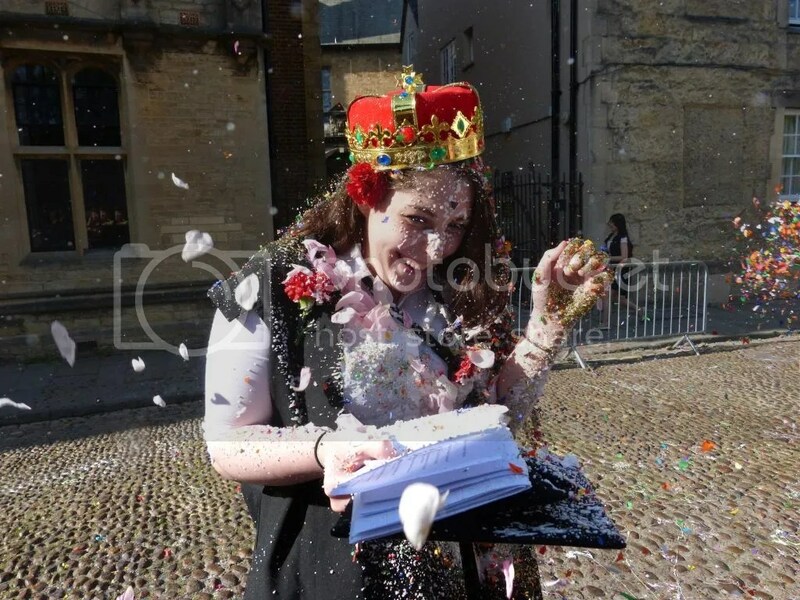 Note the rather un-regulation sequinned skirt and make up (compare my regular sub fusc here)… Well, you only finish finals once! 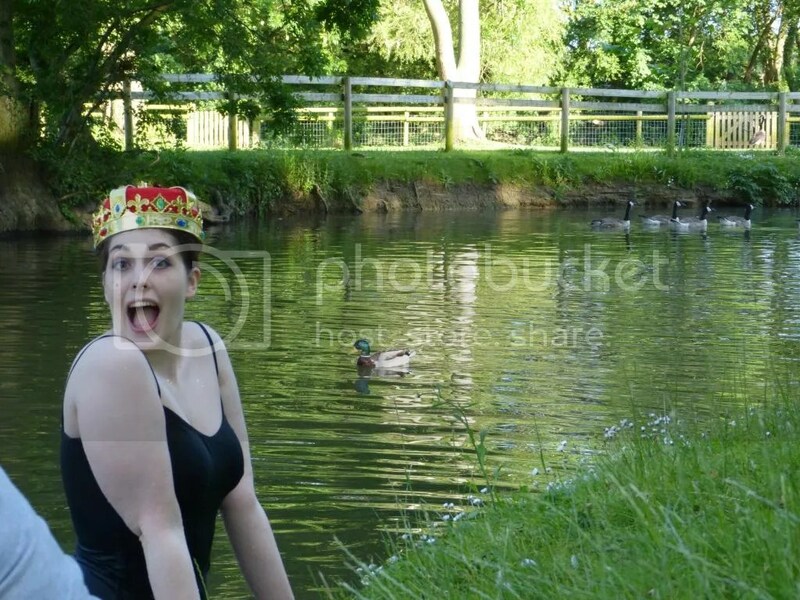 And here I am in the river, which was extremely cold and unpleasant rocky, but excellent fun! We hung out on the riverbank for an hour or two, and ended up down at my boyfriend’s house in the evening, watching Sleeping Beauty and relaxing for the first time in ages. Lovely. So that’s my excuse for my extended absence. Hope you can forgive me! What kind of posts have you been missing most? 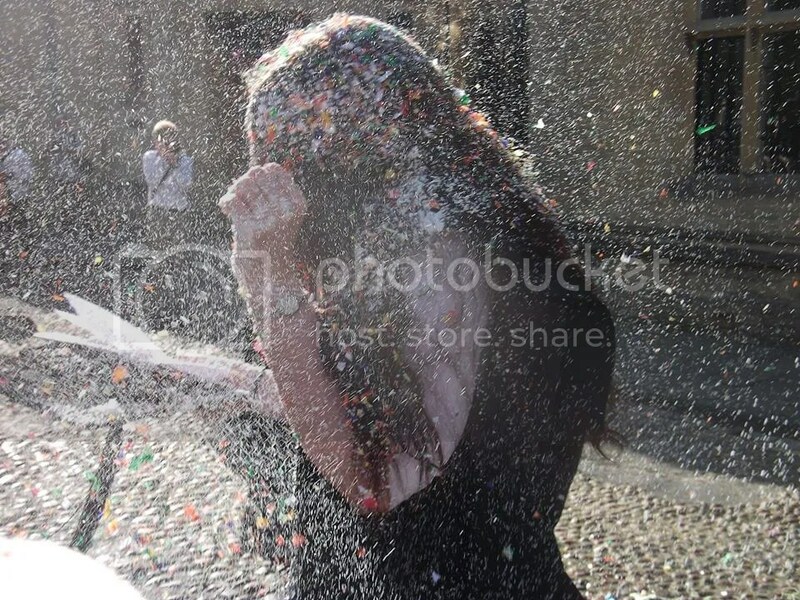 This entry was posted in Life and tagged exams, finals, finishing exams, oxford. Bookmark the permalink. Congratulations on finishing your exams! The daily mail are a bitter bunch anyway it seems like such a fun tradition! Well done Asha. 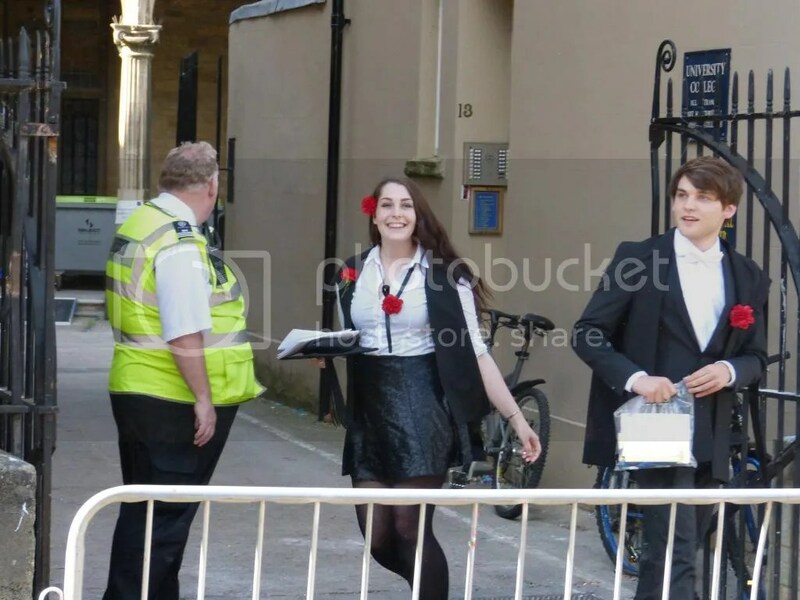 It seems like only yesterday that you went up to Oxford. Thanks 🙂 I know, it has absolutely flown by! It’s definitely fun 🙂 Thanks!